Welcome to Books in Brief. Every week for a while I'll be working through the growing stack of excellent books on my desk and sharing a few brief thoughts on why you might like them. Each little post will follow the same basic format, which I hope will help you decide quickly and comfortably whether each book is right for you or someone in your life. Up this week: The Beautiful Edible Garden: Design a Stylish Outdoor Space Using Vegetables, Fruits, and Herbs by Leslie Bennett and Stefani Bittner. There are lots of reasons to want to grow some of your own food and just as many reasons to not want to turn your yard or balcony into a full-on family farm. The Beautiful Edible Garden shows you how to strike a lovely and livable balance, whether you're a novice gardener like me or a more experienced grower in search of a fresh approach. It's both inspiring and realistic, and it reads kind of like hanging out with a friend you admire. Although gardening season may seem far away if you live in a chilly climate, this is the perfect time to start dreaming and scheming for the spring. This book would make a great holiday gift, too. It's probably a good idea for me to come clean about my own complicated gardening credentials before continuing. Let's just say that even though fresh produce is one of my favorite things on earth, in a dark, dark moment I once threw away a perfectly healthy potted parsley plant because it was pressuring me to the point of insanity like an herbaceous tell-tale heart. Thump thump, thump thump. In other words, I am not highly qualified to weigh in on the technical aspects of this book. But I can say with confidence that it is gorgeous and interesting, and its approach is inventive enough that even if you're a Master Gardener, you very likely haven't seen it all before. Whether you're serious about growing a lot of what you eat or just want some hipster hashtag cred without having to own backyard chickens, The Beautiful Edible Garden can help you do it in style. 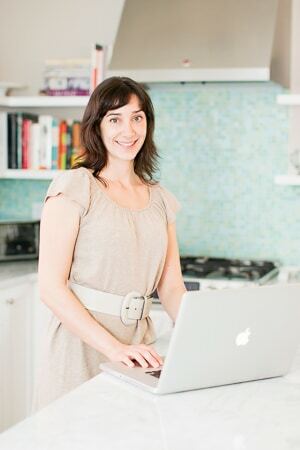 Leslie Bennett and Stefani Bittner are co-founders of the Bay Area-based Star Apple Edible + Fine Gardening. And you'd never guess it from how happy and vibrant she looks, but Leslie is my friend from law school, too. It's always gratifying to see friends wend their way toward their professional passion. And when that passion is something gorgeous that you can eat? Bonus. “A shady patch in your yard is the perfect spot for growing your favorite edible mushrooms on logs.” Um, awesome. I can even imagine a whole umami garden taking shape. Mushroom log is to me as cupcake tree is to normal people. And suddenly my life is complete. 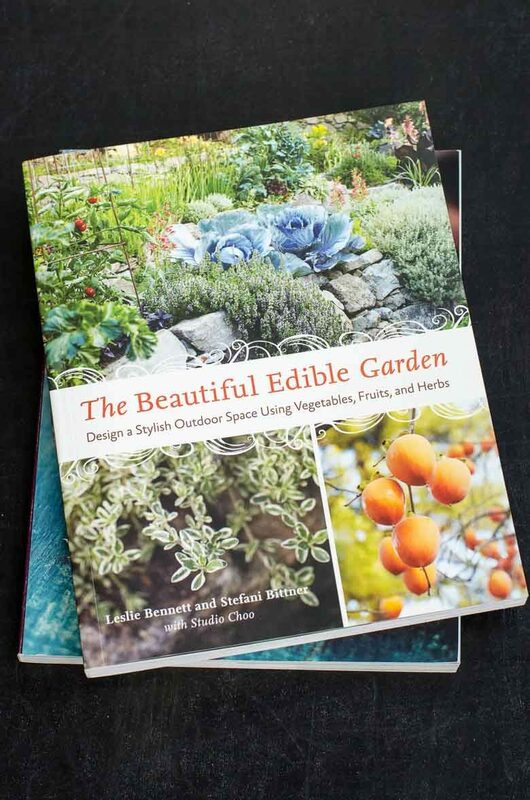 Nab a copy of The Beautiful Edible Garden in high-quality soft-cover or Kindle edition for yourself, and don't forget to include an extra or six for gifts. See? It's not even December and your holiday shopping is done.